The VPPM pumps are variable displacement axial-piston pumps with a variable swash plate, suitable for applications with open circuits. They are available in three different frame sizes with maximum displacements up to 29, 46, 73 and 87cm3/rev. 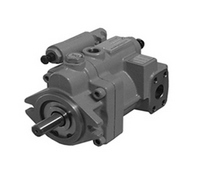 The pumps feature medium-high working pressures (up to 280 bar constant and 350 bar peak). 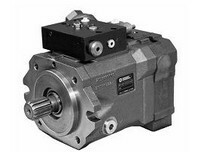 The VPPL are variable displacement axial-piston pumps with variable swash plate, suitable for applications with opencircuits and intermediate pressures. 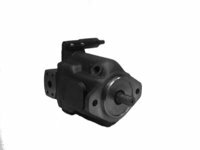 They are available in five nominal sizes, with displacementsof 8, 16, 22, 36, 46, 70 and 100 cm3/rev.The pumps feature low-medium working pressures (up to 210 bar and 280 bar).